We are looking for portraits from recent sessions from the following categories: families, couples, children, seniors, newborn, maternity, pets, glamour (no boudoir), dance, athletes, and yoga. These portraits should represent the very best in current portrait photography. One session per submission, please. Please note that by submitting here, you are agreeing that the portraits are not pending approval, pending being published, or actually published anywhere else except for your own blog, website, marketing materials, your own social media pages, or a publisher or social media page whose primary content is not photography or photography-business related. And, if we accept your images for our blog, you are agreeing to not publish them in a photography related or photography-business related website or social media page/site for at least six months. Please submit 5-10 images along with a portrait story to go along with the images. You will be given instructions on the next page about how to size your images. Image sizing is important. Your portrait story will automatically be rejected if you do not size the images properly. You have a lot of flexibility on your portrait story. Be creative! Feel free to discuss technical aspects, how you coached your clients, what the client wore to the session, products your client ordered, etc. Really, it’s whatever you want to discuss that will be helpful to our readers! IMPORTANT: Be sure to save off what you wrote in another document in case the submit does not work. Please allow up to two weeks to find out if your submission will be published on our blog. Are you itching to teach our readers something? You’ve come to the right place! Maybe you had stellar results from a recent marketing campaign or know a little piece of magic that gets your families laughing during their sessions every time. Or maybe you are a master at staying organized with your business. Perhaps you have the most gorgeous packaging ever. There are a zillion possibilities for articles. They can be about photography or about running a photography business. It is to be instructional in nature and a minimum of 300 words. The only catch is that by submitting an article here, you are agreeing to not publish the same article text anywhere else. You can certainly publish a variant of it, but google penalizes users for duplicate content and nobody wants that. That being said, you can publish the images used in your article anywhere you want to. IMPORTANT: Be sure to save off what you wrote in another document in case the submit does not work. Have a question before you put in the time to write an article? Contact us here. 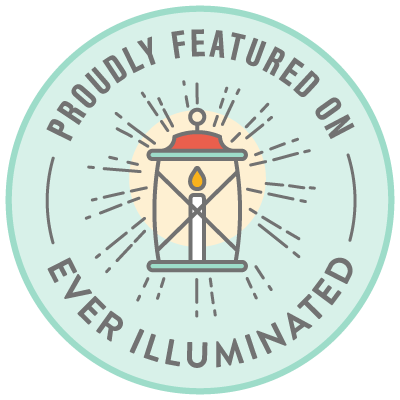 When we accept and publish your first featured session or article on Ever Illuminated, we’ll email you this badge. Display it on your site and link it to your featured article on our site. 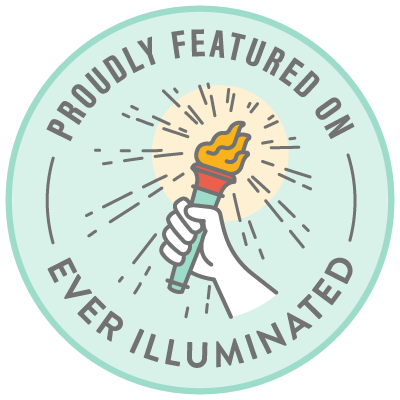 Shine a little brighter when you display this badge on your website. Link the badge to a list of all your posts on Ever Illuminated. Earn this one after we publish 2-4 articles or featured sessions. 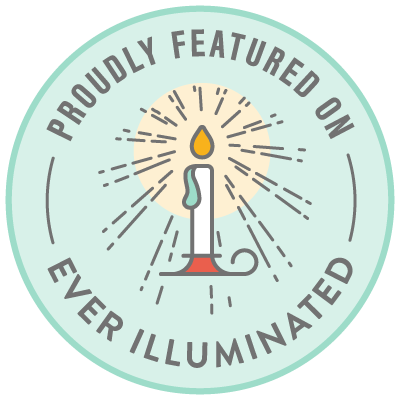 The highest honor, this one is reserved for those who have had 5+ articles or featured sessions published on our Ever Illuminated. Link the badge to a list of all your posts on our site.